fireextinguisherman Website: http://fireextinguis… Fire prevention and protection is very important to me. I enjoy working with fire equipment; portable extinguishers are my specialty. All these extinguishers are obsolete and so are noncompliant with state fire codes based on NFPA standards. Do fire extinguishers at our facilities look like any of these? If so, it is important to take a closer look. It probably does not surprise us to learn that the first two extinguishers are obsolete. But why does this stainless steel unit, pictured below, no longer fill state code requirements? The applicable NFPA standard lists stored pressure water type extinguishers made prior to 1971 as obsolete. It specifies that these shall immediately be removed from service. 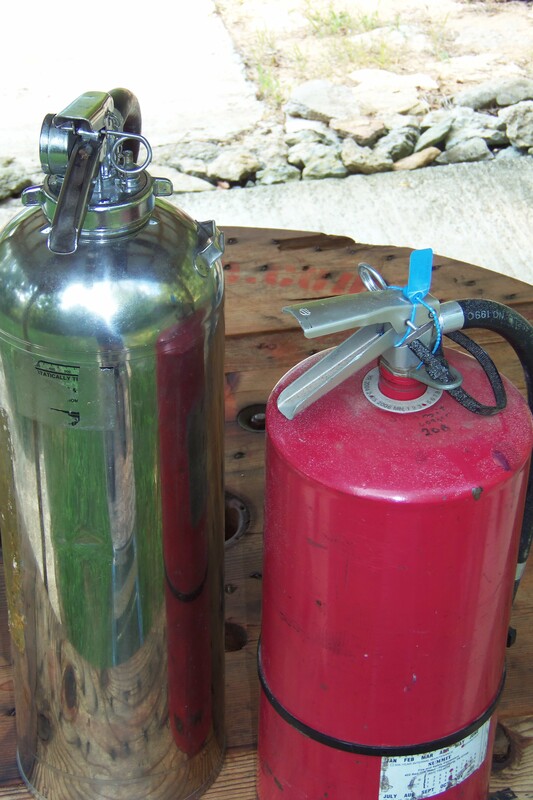 Do We Have Extinguishers That Look Like These? 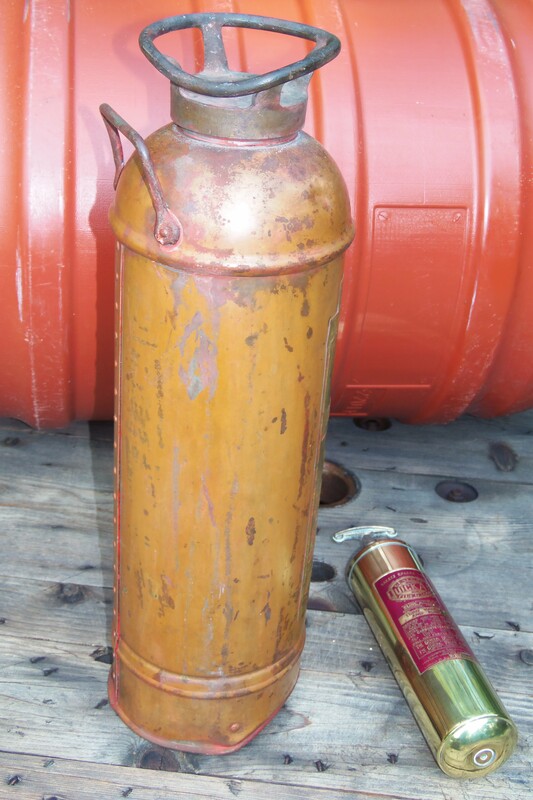 NFPA 10 demands that all handheld stored-pressure dry chemical extinguishers manufactured before October of 1984 (the red extinguisher pictured here) be removed from service at the time of their next internal maintenance (required every six years). Since this extinguisher was manufactured in 1983 and is due for six year maintenance, it must be removed from service. To determine if our dry chemical, stored pressure extinguisher was manufactured recently enough to still satisfy code requirements, the extinguisher service company must find the date of manufacture (usually on the faceplate or bottom of unit). Next, they note the date of the most recent internal maintenance (six or twelve year maintenance label). If the extinguisher was made before October 1984 and it is time for six or twelve year testing, the service company must condemn the unit as noncompliant. Of course in 2014 the last hand held stored-pressure dry chem manufactured before October of 1984 will have internal maintenance due and so be obsolete. NFPA 10 4.4 lists thirteen types of obsolete extinguishers and NFPA 10 4.4.1 describes another type that is no longer in compliance. Fire extinguisher service personal must recognize such extinguishers and should be prepared to show the business owner the code or standard that condemns the unit. It is essential that our facilities use only compliant fire extinguishers. Otherwise we would be in violation, could be cited (fined), or even closed down by the authority having jurisdiction. If our business was protected by non-compliant fire equipment, then our insurance company may not want to pay for damages in case of fire. Thank you for your great question. The name plate (label on front of extinguisher)or the operation manual that came with the extinguisher specifies the safe temperature range for that extinguisher. One I am looking at presently lists -65F to +120F. Law enforcement cars and some other professional vehicles have extinguishers installed in trunks here in Tennessee without heat damage. However,some units installed in cabs of construction equipment here have lost pressure when exposed to direct sun light. If I were in the hot Florida environment I would check the temperature in the trunk at its hottest before installing an extinguisher there. The article The Dangers of Exposing Fire Extinguishers to Extreme Temperatures has more info.